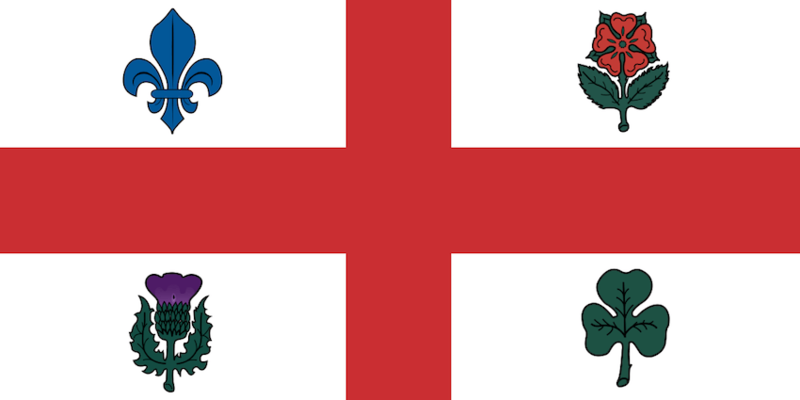 The city of Montreal is located on the Island of Montreal near the Saint Lawrence River. Montreal is located in the southwestern part of Quebec and is the largest city in the province. It is considered the commercial capital of Canada and was incorporated in 1832. This city has most residents that speak French in the world after Paris. The 2011 census estimated the population at 1649519 and is growing fast. The city is divided into 19 boroughs that are further subdivided into many neighborhoods. Montreal is a hub for finance, commerce, industry, culture, technology, world affairs & trades and has many company headquarters. It has one of the largest inland ports in the world. Montreal is growing in terms of population and development with many traffic congestion issues. Since it is located on an island there are many driving issues while getting around the city. A very busy route is while commuting from Laval and Longueuil to downtown. The STM or Société de transport de Montréa operates the public transit and subway. The metro started operations in 1966 and in 4 lines there are 68 stations. Montreal has 2 international airports, one for cargo and the other for passengers. We compared the rates of car insurance by some insurance companies in Montreal using a sample driver and vehicle profile. The Missisquoi insurance company had the next highest quote for car insurance at an annual rate of $1532. So, their quote is lower than the highest quote by $737 and that is a variation of 32%. They are part of the Economical Group that has a strong background since 1871. The L’Union Canadienne has the lowest quote for car insurance at an annual rate of $930. The Royal Sun & Alliance group owns L’Union Canadienne and they have a distribution network with over 300 locations. The Promutuel insurance company quote is closely the next lowest quote at an annual cost of $950. They started operations in 1852 and have over 100 service locations to distribute insurance products. The signage & road safety committee and the traffic committee serve important roles in the traffic management of Montreal. The borough council appoints the members of the traffic committee. They advise the council about the road safety and traffic matters in the territory under boroughs. Then they submit to the borough council their recommendations to improve road safety. The signage & road safety committee consists of a borough councilor, a representative from the departments of Engineering and public works. The Service de police de la Ville de Montréal and Pierrefonds-Roxboro Borough citizens. They ensure the road safety and signage progress and create awareness amongst the residents. They review and discuss traffic & parking problems and give suggestions to the borough council at least 5 times every year. The borough citizens can send their requests for road safety improvements as an email to ingenierie.pfdsrox@ville.montreal.qc.ca. They may also mail it to Borough Hall, 13665 boulevard de Pierrefonds, Pierrefonds, Quebec H9A 2Z4. The committee evaluates these requests and takes action. 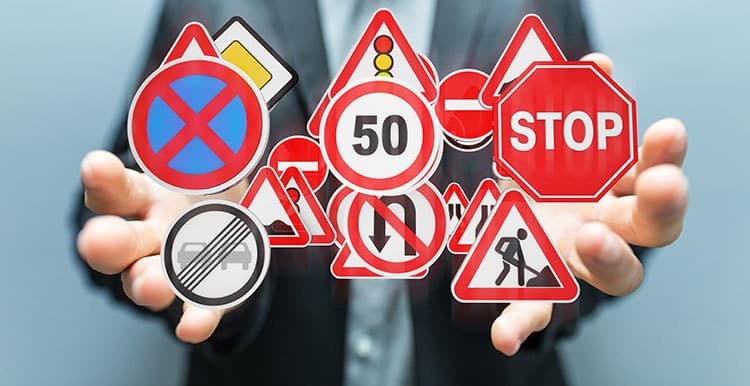 If you wish to install a speed bump, traffic light, stop sign, parking restriction or change existing signage then you may write to the signage and road safety committee for that borough. They evaluate all requests when they meet once in a month and recommends to the borough council who then takes a decision. You may either email or mail all such requests. You may not park on the street during the time from 1 am and 7 am. This applies every year from November to April and does not change based on weather. It is mandatory to install winter tires every year during the winter months from December 15 to March 15. The intersections have the green lights for straight advance only and you may not take a right or left turn. About 20% of the total streets in the city are one way only and most of these streets are around the downtown area. During snowfalls, you may not park your vehicle on the streets for any reason. If you fail to comply then you may pay a penalty of minimum $40. In Pierrefonds-Roxboro you may not unload or throw snow into the streets. If your hired contractor does this then you are liable to pay a penalty. The city of Montreal had announced in September 2016 about their new road safety plan to improve the safety on the roads for pedestrians and cyclists. The main features of this road safety plan are as follows. They will publish the most dangerous locations with the highest number of accidents on a website. They also target and survey around 10 locations for safety improvement. The speed limit may be reduced to 30 km/ hour in front of schools and the residential areas. The city will revise the truck zones which include delivery hours, zones and truck size limits. In 2017 they will campaign to create awareness on road sharing. A pilot project will add more 4 way stops to slow down the traffic. They will install some priority lights at certain intersections for the safety of cyclists. Some lanes will be reserved for taxis, buses, and bikes. The city of Montreal proposed the renovation program for the road infrastructure for 2016. They planned to complete the major part of the work during summer and spring. The investment for improving the road structure in the entire city was estimated at $531 million and in Pierrefonds-Roxboro areas it was estimated at $16 million. The following are the most dangerous intersections in Montreal with the highest number of collisions. St-Zotique St and Galeries d’Anjou Blvd. There is 32 Service de police de la Ville de Montréal or SPVM police stations in Montreal. Each police station has local road safety police officers. They act as the resources and responders for the safe and smooth flow of traffic for pedestrians, motorists and cyclists who use the roads. The local police officer for road safety takes care of a road safety issue when it is identified. They carry out the tasks to ensure the public safety on the road network for all road users. The traffic patrol officers maintain the traffic flow and also conduct systematic management at targeted and strategic areas. They carry out the following task to streamline the traffic flow smoothly. The traffic police units started operations in 2006. Since then the number of collisions causing fatal injuries have reduced by 59%. There is a decline of 51% in the number of collisions causing serious injuries. The above table is part of the annual report that SPVM submitted in 2016. The number of violations for reckless driving has declined to almost half when you compare the data for 2011 and 2015. The number of violations for fleeing the accident scene has reduced by 1264 during the same time. Violations for driving under influence had increased to1900 in 2012 from 1797 in 2011. This saw a decline in 2014 and the numbers were 1732. However, in 2015 the DUI violations increased to 1763. There is an increase in the number of violations for driving while suspended from 111 in 2014 to 138 in 2015. Overall, the number of violations in all categories declined from 21976 in 2011 to 20606 in 2015. When we looked at the auto theft data over the 5 years there has been a decline of almost 42% between 2011 and 2015. There has been a downward trend in the number of auto theft cases in each year and the difference was 966 between 2014 and 2015.